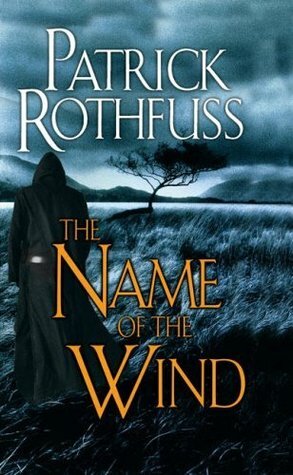 As part of my Three Week Read, I read Name of the Wind by Patrick Rothfuss. With over 700 pages (I read the pocket sized paperback; the hardcover is closer to 600 pages) of fantasy and a rich world, see why I gave it five stars. Name of the Wind has 700 pages of the thickest world building I’ve ever seen; it extends beyond that of Game of Thrones or Harry Potter, in the realm of fantasy novels. While it took a few dozen pages to understand some of the terminology (as with any book), the instant I began to understand, I felt like a part of Kvothe’s world (cue Disney music). Kvothe is a wizard, a magic user that studied in the University where science and magic mingle together, that is famed through the land for his heroic deeds, impossible actions and for killing the king. He took up work as an innkeeper as Kote, in a town where his face wasn’t known. The Chronicler finds him one night and for the next three days Kvothe tells his story, the true story and not the rumors and legends that are known. He tells the story of travelling with his family, to life in Tarbean to studying in the University. The book is told mostly through first person; Kvothe is literally narrating the story to us as if we were the Chronicler. The beginning, end and some chapters in between marked as “Interlude” are told in third person. And it worked. Writing a fantasy story in third person narrative is commonplace, with first person being a close second, but both is something that’s unheard of. Rothfuss handles the transitions well, there’s never any confusion, and it feels natural. The pacing of the story is executed well. Very few times have I been driven to put the book down in the middle of the chapter or even at the beginning of the new one. I wanted to keep reading to discover what happened to Kvothe. It took the necessity of sleep or Day Job to rip me away from the book. The characters were executed well; everyone was different, complex and fleshed out. I was attached to just about everyone that crossed paths with Kvothe. There were only a handful of parts that could have been glossed over or cut, in my opinion. Skarpi, a storyteller in Tarbean, felt more stressed than he should have been. Kvothe’s obsession to chasing Denna when he knew its fruitlessness, while relevant to reveal his character, didn’t need as much screen time as it got. We could have had more progression in the plot, furthering us along in the narrative, if we didn’t have the fire in the Fishery whose only outcome to the story was Kvothe getting a new cloak. And, quite possibly the worst of them all, the third book won’t be out until (maybe) 2016. I have been reassured that many things I found irrelevant or unfinished in the first book are continued or resolved in the second. If you are fantasy fan of any sort, especially high fantasy, pick this book up. You will not regret it. Except maybe you will once you’re waiting for the next one with the rest of us. Next Post The Three Week Read is over! I think Skarpi’s stories are going to be very important in the rest of the trilogy… but I am going mad with excitement waiting for the third book to be announced! I want to poke at your bad a little bit: I feel like Skarpi was stressed for a reason we don’t know of yet. Chronicler mentioned in the beginning of the book that he had run into Skarpi and talked about him as if he were Kvothe’s friend, so he’ll probably come back. Everyone in the “current time” seems to know about Deena and that she is something important, so it’s probably fitting that she got a lot of screen time. And the fire in the Fishery was more-so to develop Kvothe as a character, to help see that he isn’t entirely selfish. It also started making people take the rumors about him more seriously, spreading and inflating the stories that are told about him even to the current day.